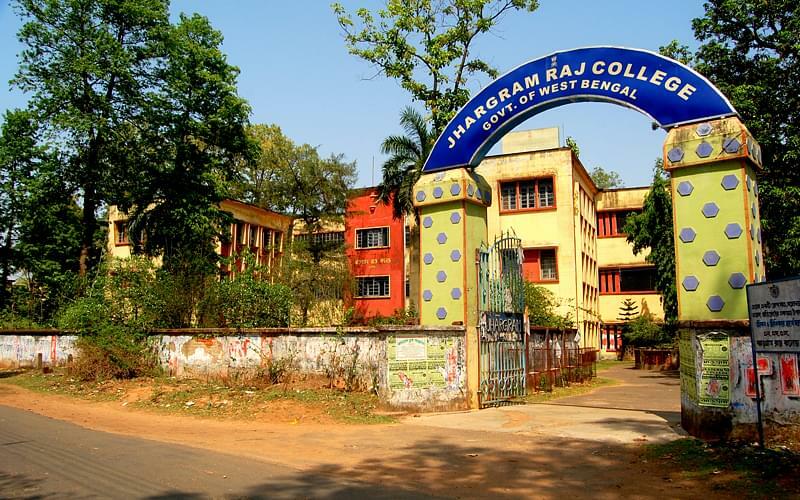 Jhargram Raj College situated in the sub-divisional town of Jhargram offers courses in the streams of Arts, Science and Commerce. 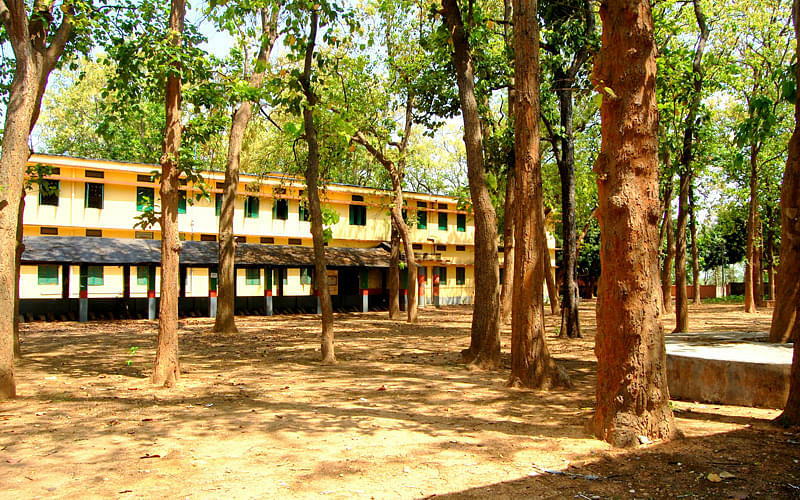 The College was the brainchild of the then Maharaja of Jhargram- Late Raja Narasingha Vallabh Bahadur in 1949. Since the last 50 years, the college has been imparting quality education in the fields of arts, science and commerce and has built a reputation of providing good education. Midnapore is at a distance of 128 kms from Kolkata. 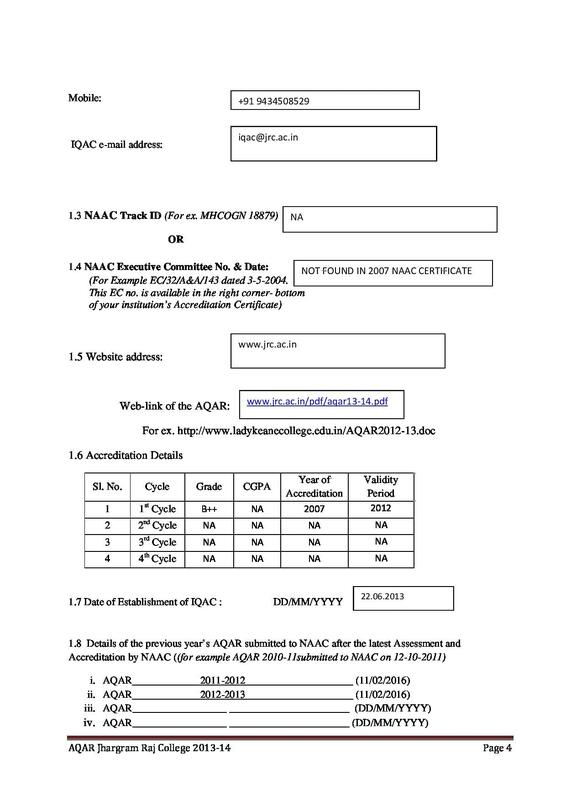 The nearest airport is Kolkata airport. Midnapore is well connected by trains and buses. The railway station is only at a distance of 3 kms and the bus stand is at a distance of 1 km from the college. 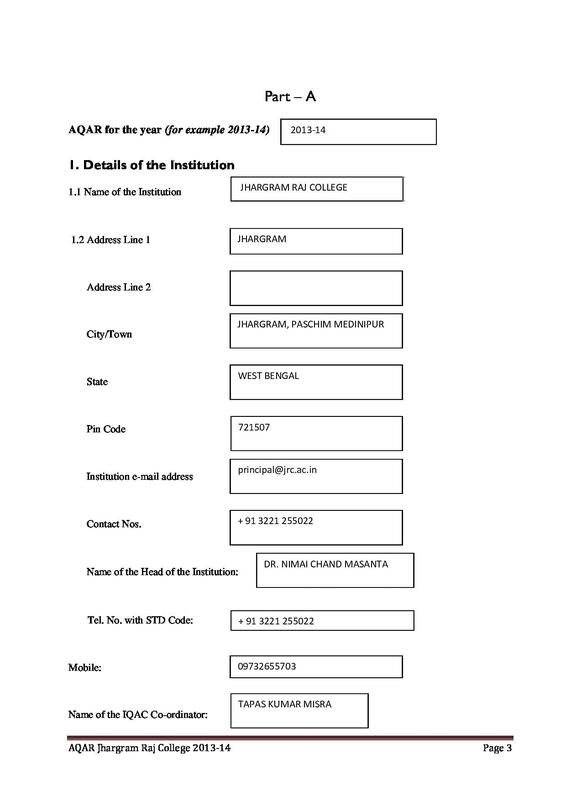 Fees and Scholarships- Jhargram Raj College being a government aided college offers courses in the most nominal rates. The fees of almost all the courses are below Rs 500/- which is helpful for students who come from economically poor families. 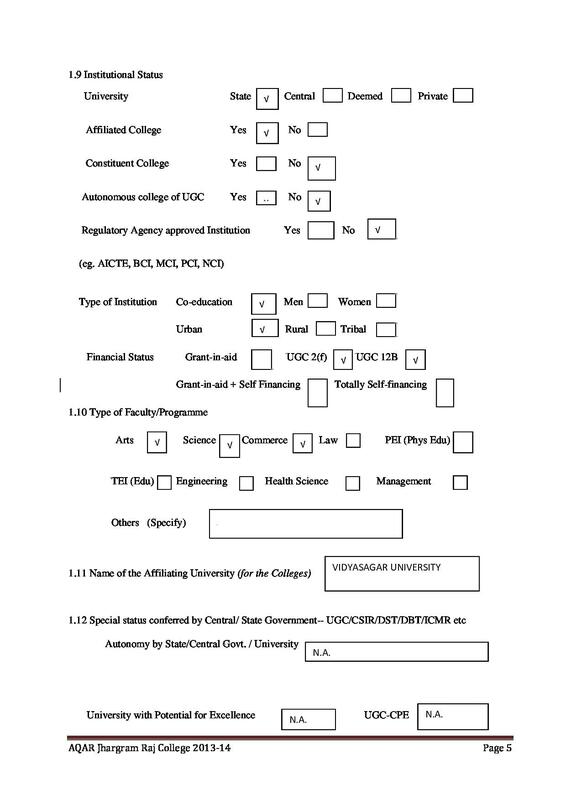 Apart from the low fee rates, the college also offers Scholarships and free education to a number of its students. 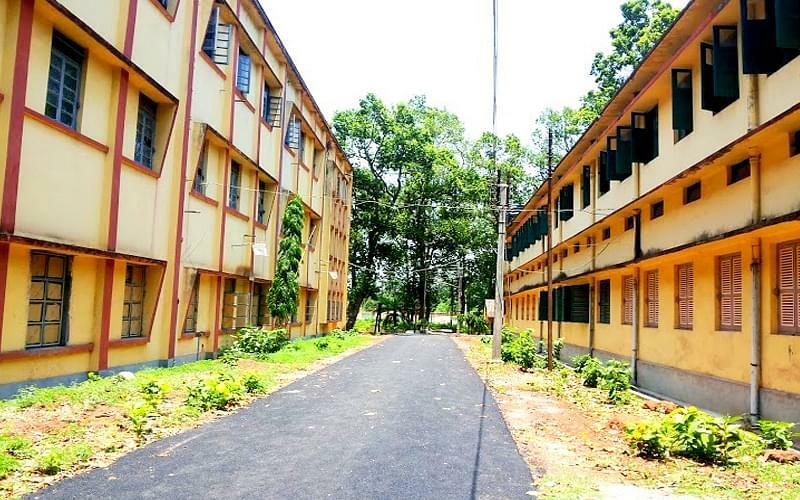 Infrastructure- the College is spread across more than 300 acres of land in the serene locality of Jhargram. The quiet atmosphere of the campus provides a good and serene environment for the students to pursue their education away from the hustle bustle of the towns and cities. 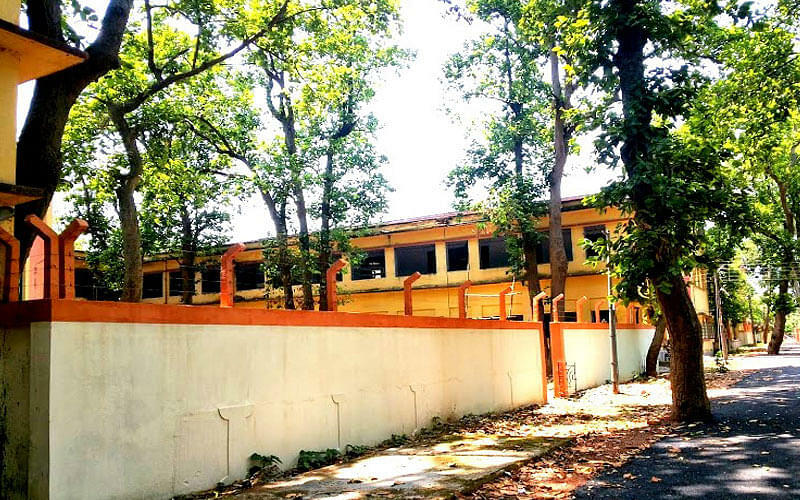 The college is also equipped with all modern amenities like Auditorium, Laboratory, Playroom, Cyber Room, Canteen, Hostel, Gallery and Library.